Currently it's still single digits in April! - HAPPINESS IS WATERMELON SHAPED! Hello there! I started this post last weekend, and I'm just making it in before the date becomes two digits! I'm glad that Farley has this link-up! My husband reserved the TV this afternoon so he could alternate between the Bruins' and the Red Sox games. I did manage to clean/tidy the kitchen, but I saw my laptop and got distracted. 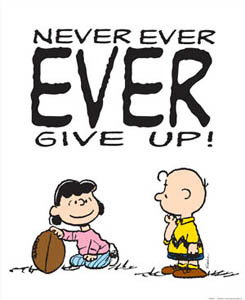 Well, I never do give up - I just put it off! Sorry for your recent loss. I'm sure it's difficult to write those notes. As for procrastinating, I'm an expert at that! Lol! I sure can book it though when the deadline nears...some of my best work is at the very end! Thanks for sharing! 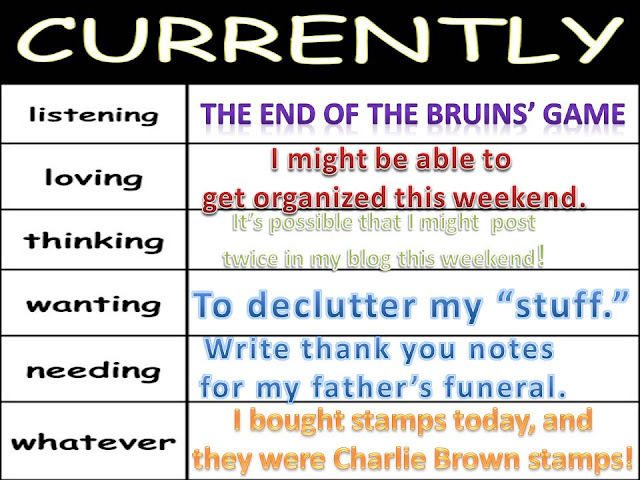 I can think of a few areas of my life that I need to "declutter" as well...I'll start with the boxes of "one day I might teach this grade level again" school containers (tired just thinking about it! My condolences to you and your family...Hopefully the letters will be of a little comfort to you!